One of America’s favorite soft drinks, Pepsi-Cola, didn’t make it to the Taste test stage … several times. The ability of the product to survive several bankruptcies, numerous management changes, and major internal squabbles made it an even stronger player in the bid for consumer taste acceptance. Our story begins with the birth of Caleb D. Bradham in 1867. Bradham was born in Chinquapin, North Carolina in 1867. Chinquapin is a rural community about forty miles south of New Bern, North Carolina. New Bern is a seaport town which was first settled in 1710 by Swiss and German emigrants. Caleb Bradham attended the University of North Carolina and the University of Maryland Medical School. While at the University of Maryland, he worked part-time in a local drug store. When his fathers’ business failed in 1891, Caleb dropped out of medical school and decided to open a drug store of his own in New Bern. This drug store was the first home of Pepsi-Cola, and it was located at Middle and Pollock Streets in New Bern. Caleb formulated the Taste that Beats the Others cold in his new drug store, and in 1893, he began selling “Brad’s Drink”, which among other claims, was to be a cure for dyspepsia. In 1898, Caleb Bradham bought the name “Pep Cola” for $100 from a company in Newark, New Jersey that had gone broke. He then changed the name of his new drink from “Brad’s Cola to Pepsi-cola, and persuaded a neighbor who was an artist to create the first Pepsi-Cola logo. Bradham applied to the state of North Caroli na and to the U.S. Patent Office for a trademark on the name Pepsi-cola in 1902. He also issued ninety-seven shares of stock for his new company, and was ready to supply Pepsi to an eagerly awaiting world. From the back room of his pharmacy, Caleb mixed and sold over 8,000 gallons of syrup his first year. Having an appreciation and understanding of the value of advertising, he invested $1,900 of his early profits in promotion of his new drink. By 1903, Bradham had outgrown the back room of his drug store, and moved his young company to temporary rented quarters for almost a year before finally settling into its permanent home, known as Bishops factory, in New Bern. At that time, he also added bottling lines to his growing syrup manufacturing business. Caleb had established fifteen additional bottling plants by 1906 to attract the early Pepsi Generations. Pepsi-Cola is one of the best soft drink in the world. The company has operated continuously for over 40 years offering a range of quality products Pepsi, Diet Pepsi, Miranda, 7UP, Diet 7UP, Mountain Dew. Analysts believe Pakistan to be an enormously growing potential market as per capita consumption there is as low as 14 bottles per year. Pepsi is a FMCGS (Fast Moving Consuming Goods) produced in bulks. Pepsi is consumed regularly that’s why Plants work continuously 24 hours. Regional head is responsible for all the activities which are taking place in Pakistan under any other head of department. Regional Head directly reports to the head office located in America. 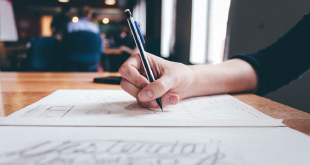 To look after and to give the moral and practical support Franchise Director uses two other Designations which are Franchise Manager and the other one is Sales Development Manager. Any query from any of the bottler can be solved through these two designations. Brand Manager of colas, Brand Manager of Flavors & Brand Manager Aquafina work to support the Marketing Director. This department is responsible to promote and advertise the products in the country. No promotion and advertisements can be done by the bottler itself. All the activities which take place under the administration of operation head are supervised supported and controlled by the Operation Director with his two other subordinates i.e. Operational mangers. All the activities like cost evaluation, budgeting, financial analysis and controlling the taxing system etc are performed under this department with the support of Planning manager, Controller and Business Analysis Manager. Chief Finance Officer is directly reports to the Country Head. To be the premier convenient food and beverages company with brands that are known and respected in every corner of the world. We aspire to make PepsiCo the world’s premier consumer Products Company, focused on convenient foods and beverages. We seek to produce healthy financial rewards for investors as we provide opportunities for growth and enrichment to our employees, our business partners and the communities in which we operate. And in everything we do, we strive to act with honesty, openness, fairness and integrity. The major objective of the company is to produce and supply highest quality products, which confirms to both the national and international quality stands. The company is committed to provide maximum level of customer satisfaction. We seek to bestow healthy financial rewards to investors as we provide opportunities for growth and enrichment to our employees, our business partners and the communities in which we operate. We strive for honesty, accuracy, fairness and integrity in everything we do. The fact lies in sustainable growth achieved with trust. This company needs people with an insatiable appetite for accomplishment and results. If we are going to win over the long haul, we have to win as a team. Fresh perspectives and creative solutions that add value will fuel our upward trajectory. Nothing can replace a deep understanding of business principles and a commitment to implementation. Pepsi donated a large sum for earthquake victims relief in October 8, 2005, Pepsi contribute U.S $2 million (Rupees 120 million) to assist victims of earthquake in Pakistan. Automated Plant produces 110 bottles washing to filling in 1 min. As the main ingredient (concentrate) required making the beverage is imported from main office in America, frequent changes in the Dollar price can affect the company economically. As the company is bound to the agreement with government, its keeping the price of Pepsi (250ml) at Rs 12, while according to the high cost of production, price should be 16 Rs. 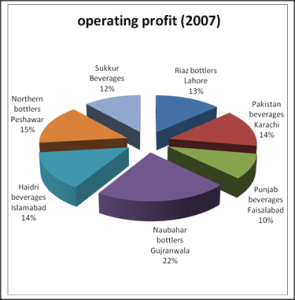 Riaz bottler is one of the franchise owners with remarkable political influence in his territory and at times he try to be abstinent from the company regulations and policies; this directly affects the company in terms of market share, profits and others. If the government changes the prices of Beverage industry, then company pass on 30%- 40%of the changed prices to the consumer. If the International Standards change rapidly then it can affect the company internally and externally because the Pepsi is always ready to have updated fulfillment of international standards. Company claims that prod uces no Wastage, but any negligence can badly affect the environment. Non recyclable plastic bottles are a source of environmental pollution. Bargaining power of customer is low because of fixed pricing of beverages of Pepsi cola in market. Company settled down the prices according to the government polices so customer can’t bargain on it. If the company increases or decreases the prices of their products the customers have to purchase on that prices without any bargain. 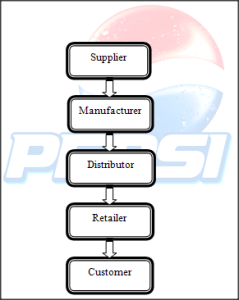 There are two situations in bargaining power of suppliers, company having two major suppliers and their bargaining power of both suppliers are different like: Their main supplier of concentrate is US and the bargaining power in this case is higher because the Pepsi Company has to purchas e the concentrate on the price offered by the supplier. In other case bargaining power of supplier is low the company get the plastic and glass bottles for filling from GHANI glass and the company get the material from the supplier on that price on which the company wants to purchase. Rivalry among the competing firms is high because their main competitor is Coca-Cola. When the coca cola launch or introduce new products the Pepsi use the defender and reactor strategies for strong competition. Potential entry of new competitor is easy but threat from new entrant is low because no one can reached on the competition of Pepsi cola as well as company have strong market share that is 72% ,strong brand name, strong distribution an huge setup in Pakistan and no one can easily achieve this. Pepsi has many substitute products that create the high threat for company like juices, flavored milk and energy drinks in the market. Now a day’s people are switching on non carbonated drinks and that is the big threat for Pepsi cola. Pepsi lies in stars (maturity) due to high market share that is 72% in Pakistan and high industry growth rate. With the passage of time they are capturing more market share by enhancing their product line. They are in stars because of one main reason that is PepsiCo is financially strong. Their brand name is well known all over the world and have the strong positive brand image in the mind of customer. Pepsi is convenient product where ever you go you can find each brand of Pepsi cola. The main advantage of Pepsi cola for lying in star is that they are targeting every type of customer and these customers are increasing market share for Pepsi cola. Pepsi itself is a strong brand name which is strength for the company. Pepsi has a broader product line and exceptional reputation. Strong distribution system all over Pakistan. Record revenues and increasing market share. Existing customer loyalty is high with Pepsi. 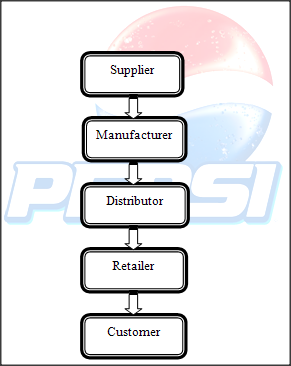 TQM ( Total Quality Management) is not properly implemented in production of pepsi. Non-carbonated drinks are the fastest-growing part of the industry, so they must launch more such products. Pepsi co must also enter into juice and non carbonated drinks industry. Install vending machines in different public places to promote product and brand name. Contract with cellular companies as a payment mode to use vending machine in a fast and efficient manner. Coca-Cola is the main direct competitor of Pepsi. It had always been a big threat for the company. Local brands are also the threat for Pepsi. Illegal in house production of beverages using Pepsi brand. Rapidly changing life style and taste, which may divert people from carbonated drink to non carbonated drinks. Instability and fluctuation in the prices of dollar regularly. Security condition of the country is not satisfactory. Increasing tax and inflation rates. Changes in government policies and regulations regarding beverages industry. The SPACE matrix is providing us an idea about organization’s position in the market. 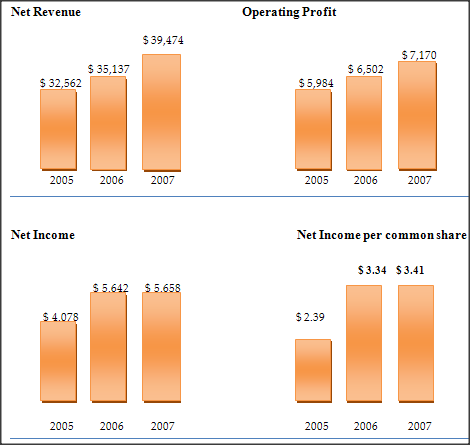 Pepsi co is competing fairly well in stable and highly competitive industry. It has four quadrants namely: Financial Strength, Environmental Stability, Competitive Advantage and Industry Strength. The company is financially dominated in the industry. 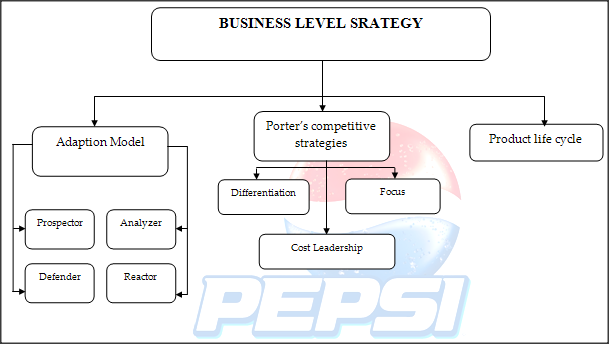 This matrix concludes that the Pepsi has financially strong that has achieved major competitive advantages in a growing and stable industry. Following are the key success factors of Pepsi cola that are playing important role in the success of Pepsi cola in Pakistan. Pepsi cola have strong marketing campaign in Pakistan. They are doing 360’ marketing campaign for the awareness of their each product. They have different promotional campaigns for different products. They are also using brand ambassadors in their advertisement that creates positive image and strong loyalty with the product. Pepsi cola have committed employees who gave them the best output and loyal with the company and this is because of motivation from the company. One of the main reasons of the loyalty with the company is incentives and benefits given by the Pepsi cola to its employees for their betterment. And due to these benefi ts the employee can’t switch to any other company. Empowerment is also the main reason for commitment with the company. 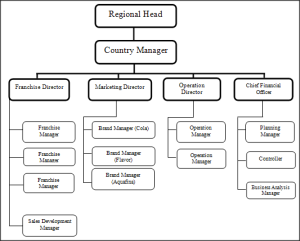 Decision making system in Pepsi cola is decentralized the decisions are made on top level management but management also involved the middle line and front line management as well in their decision. Pepsi cola is financially strong company they have the potential for more growth and they can enhance their product line. 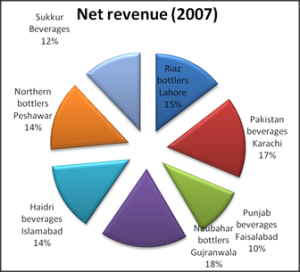 Pepsi cola have 72% dominant market share in the Pakistan as compare to its direct competitors like coca cola. And still the company is working for capturing the more market share. This is also one of the reasons in the success of the Pepsi cola. Pepsi cola is doing mass marketing in the Pakistan they are hitting all types of customers and filling the demand of every type of customer. 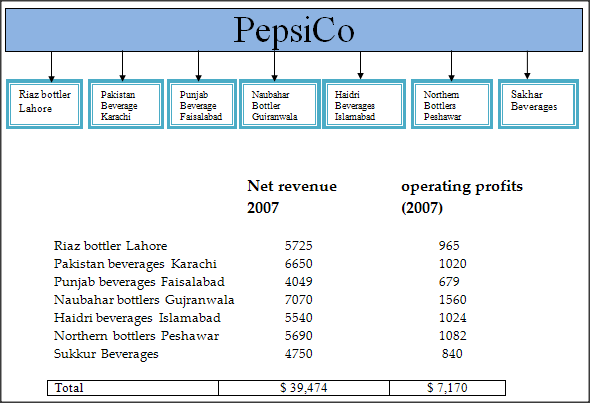 When we look at the history of the Pepsi in Pakistan it was started in 1962 as a wholesaler depot in the tertiary of Karachi and then with the success in 1975 it started its business as a FOBO (franchise Owned Bottling Operation) as the time passed they have increased the franchise to 7 which are now defined territories. Till 1962 to date company have increased the sale and giving the tough time to its international competitor Coke with all its brands under one Umbrella. Pepsi is continuously working on the stability because they are all the time in need of having very tough competition from its competitor like coke, and other local brands. Some time to overcome this problem company increases the percentage ratio of its suppliers, and some time to its retail store keepers. 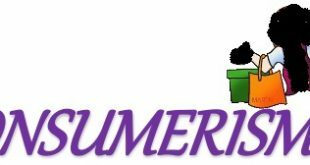 In the season of Summer Company want its franchise to produce on the full capacity @ 24/7 which leads them to maintain their market share. 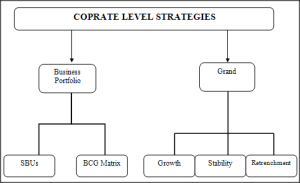 The basic purpose of this strategy is to match the business strategies with basic environmental conditions. 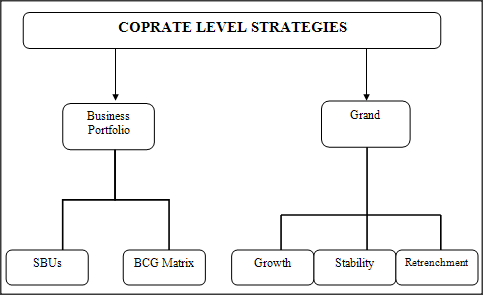 Work or act on a corporate strategies. Company always works as a prospector to take preventive actions. Company scans the environment and after the analysis of the competitors and situation they plan things. Pepsi cola using the prospector approach because of “Aqua Fina” launched b6 months before of its exact launched time because that time coke was going to introduce “Kinely”.thats is why Pepsi took the proactive action and introduced the “Aqua Fina” before the “Kinely” to capture the market before the competitor. Having the knowledge of market share & Competitors Pepsi has planned to launch Tropicana. Because company analyzed that there is very much room available in these types of products. After evaluating the overall market then Pepsi has decided to introduce Tropicana. Pepsi some time also act as a defender because to retain the loyal customer and to sustain the market share Pepsi use the defender strategy according to the situation. Company use product development/enhance existing product line and also some marketing techniques to be use to defend the company’s products. Reactor strategy always be pushed by or to give the full support to the defender strategy, reactor strategy is basically is the implementation of the defender strategy. e.g. in Ramadan when coke decrease the price of 1.5 Liter coke from 50-45 then immediately Pepsi acted as a reactor and also decrease the price of 1.5 Liter Pepsi from 50-45. Some time Pepsi have to work on differentiation as they have launch the product as a different taste with its competitor like coke (which is strong in taste) so the Pepsi work as a slightly sweetener taste which is more likely to be used by the all age groups. As the company earns more and more profit from different territories same as it is company some time has to bear the losses for some times in order to be the part of Market, and to maintain the goodwill in the eyes of it customers. Company is bound to the agreement with government, it’s keeping the price of Pepsi (250ml) at Rs 12, while according to the high cost of production, and price should be 16 Rs. Pepsi is targeting many different geographical areas inside and outside cities to retain its customers and to capture more; this is the reason Pepsi use to launch different products under one umbrella. 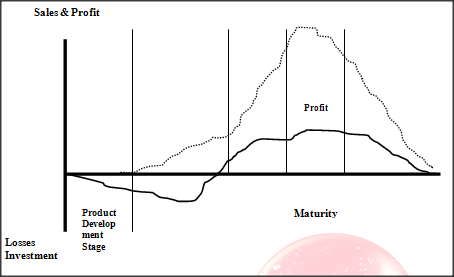 The course of product sales and profits over its lifetime, it involves five distinct stages product development, introduction growth maturity and decline. 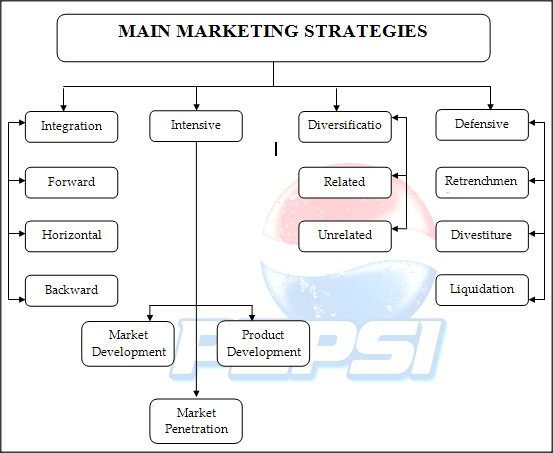 When Pepsi entered the market they had just invested i n market in the 1st two stages of product life cycle and earned nothing. 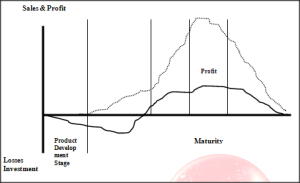 Then in the stage of growth when early adopters buy the products, Pepsi was in No profit No loss situation but now Pepsi is on maturity stage of product life Cycle and is earning a lot of profit. Pepsi never entered the decline stage. The function of the Pepsi cola to recruit the best creative talent for best outcome. Recruiting and hiring procedures in Pepsi cola are transparent. Company has proper methods for recruiting a person and it is visible to everyone. Pepsi cola hires employees on the basis of merit, education and skills not on the favoritism and on approaches. There is proper HR department where HR managers hire the employees on specific criteria. Personal and penal interviews are conducted for hiring. HR managers in Pepsi cola also do the performance assessment of the individuals. Through this HR managers fill the gap that can create problem. And if employees need the training with the passage of time they organize different workshops for them. 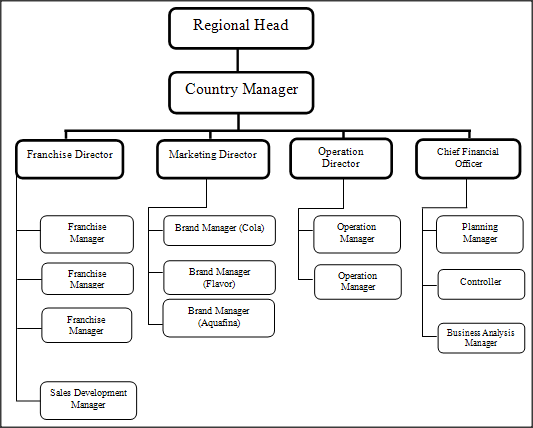 Administration department of Pepsi cola have the link with all department in the company. It handles all the problem face by the departments. It has the good relationship with the vendor. Administration of Pepsi cola also handles the petty cash (daily expenses), like expenses on the visiting of guests etc. Disbursement of salary is also the responsibility of the administration department of Pepsi cola. Administration also creates the harmony between all the departments. Office furniture, stationary and any technical problem is also handled by the administration department of Pepsi cola. All the decisions taken by the top level management but management also involve the managers of all departments and employee of the company. 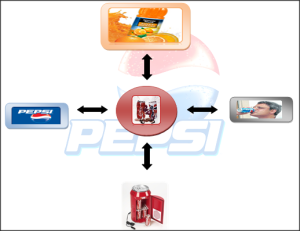 The procedure of decision making in Pepsi cola is decentralized. Everybody knows about the mission and everybody gets involve in the every decision regarding the company’s affairs. That creates the motivation and empowerment in the employees and through this company gets effective and efficient results. Company’s all revenues and profits are also visible to everyone in company. As well as all the strategies made on the top level management also known by the employees and everyone take part in decision making that helps a lot in innovation. Pepsi cola claims that this is one of the safest drinks you drink. The “One Quality Worldwide” assurance seal appears on the entire range of Pepsi’s beverages. In manufacturing the quality controls procedures are fixed. Pepsi cola used science based standards in manufacturing process. Provide the skills, knowledge and expertise to deliver the quality of services that their customer expects and which their reputation depends. They produce 110 bottles in 1 minute (washing to filling).all the franchisee are following this standard for filling bottles. Water accounts for the bulk of all beverages including colas. In other word the water used in PepsiCo soft drinks must be as safe as possible for human consumption. At Pepsi sugar is bought from approved sugar mills after a supplier qualification process. After sugar is received in the beverages plant it is subject to further betterment to reduce the impurities, color etc to achieve Pepsi’s global specification. The CO2 in each bottle of Pepsi sur passes that recognized for medical application. Once the CO2 reaches the bottling plant, it undergoes further purification. At the end each batch carries certificates of analysis and compliance. Pepsi cola more focus on retain their existing employees because company thinks that employees are resource to be used effectively and efficiently for more productivity. Pepsi cola give the target achievers awards to their employee to motivate them and to get the more productive and innovation in work. They also have the employee of the year reward for motivation. Company gives the bonuses as incentives to the employee. Other than this company gives the medical incentives not only to the employee but also to his family. 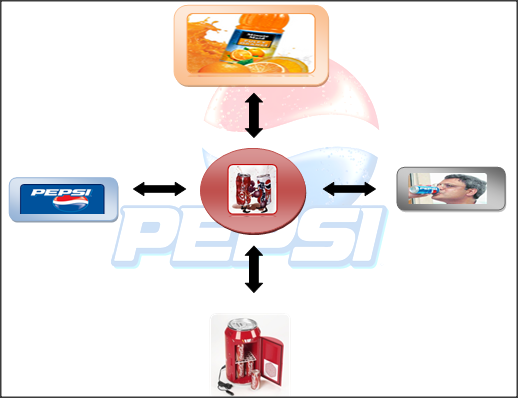 Pepsi beverages have different products in the form of carbonated drinks, and each product has different target market. According to Pepsi beverages, they hit different market groups by different product such as Pepsi and 7up is for families, Miranda is for teenagers, Mountain dew is for aggressive people on the other hand Pepsi max & 7up free are for diet alert and health conscious people. They promote their products according to the target market through different types of advertising campaigns and have special marketing strategies for each product. Pepsi is heavily consumed and extensively enjoyed by children. They often make their parents buy them Pepsi as a compulsion. 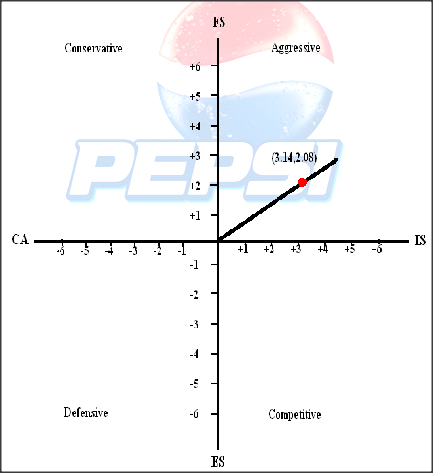 Many students and adolescence regard Pepsi as a youthful drink and have fun consuming it. Youth make major target group of Pepsi, so all their advertisement campaigns especially focus upon the young and spotlight on youthful entertaining Pepsi filled moments. Highly educated Professionals and technical experts consider Pepsi as a high quality mouth watering drink and have a major share in target market. Pepsi has become an integral part of table laid down for family lunch and dinner, everybody at home from young to elderly love to augment their meals with exciting taste of Pepsi. 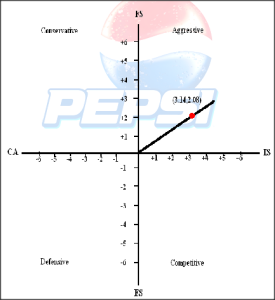 And if we have to specifically pinpoint target consumers of Pepsi then we are required to do segmentation. Pepsi beverages Pakistan has product range that is as follow! Pepsi is a quality product and it’s more focus on customer requirement like they have provided different Pepsi products e.g. Pepsi max and 7up for health conscious people. Mountain dew for young and innovative generation. The company so much focusing on features of the product they change the style and cover according to the new product and with time to time for the attractiveness of customer. They are also using the brand ambassador’s picture on the bottle for the attractiveness. The style of every bottle they are making easy to carry for customer. The products mentioned in product head are sold in market in different sizes and prices that are as follows! According to our survey company is using competitor based pricing. Main competitor is Coca-Cola. Both companies have similar pricing in beverages. They based on each other in setting the prices. Pepsi products are very convenient and available easily in the consumer’s range. In Pakistan where ever you go you can easily find Pepsi from different stores. For Pepsi key account are different wholesalers, restaurants and hotels like pizza hut and KFC and also Metro, Macro which serve as a place for key sale. These are known as national key accounts and are very important in term of competition. Distribution channel of Pepsi is! Pepsi is doing heavy marketing to create the best image in the mind of customer about Pepsi. They arrange and sponsor different concerts and occasions like they sponsor the crickets etc. The Pepsi is also doing outdoor advertising through billboards like recently Pepsi have launched Pepsi max and promoting through billboard that is in liberty near Husain Chowk. They are also doing radio advertisement the same advertisement on TV. Pepsi promoting itself through its website. Company launched every product with different marketing campaigns according to the product. As the “PEPSI” itself is a strong brand name. Whenever the customers feel thirst he/she always think about the PEPSI not even the beverage, Which makes the Pepsi brand name as a stronger brand name this is the reason that Pepsi gets the advantage of Word of mouth advertisement as well which ultimately raise the sales of Pepsi. When we talk about the quality of Pepsi as a company they are very much concern about product quality. To make sure that the product is up to Standards Company have many checks in different departments. As they have special department of QA which always verify the quality standards. First when the product reaches (US -> SINGAPURE -> production plant) to the production plant in a carbonated form in sealed packs drums which use to be given to the Franchisers. In the production department only foreigners are allowed to work. The company responsibility shifts to the franchisee which makes sure the quality of the product. Company has appointed one QA person with the franchise and on the other hand company often sends their representatives to the production of the franchise to overcome the hurdles in meeting the quality standards. The price which makes the product to be accessible to the final customer. Now days it is better to have soft drink which is available in the shape of packed bottles and cans. People prefer to have economical product to be taken as a drink that is the reason Pepsi taking the advantage of Unique Selling Point. Pepsi is available to everywhere, any store or any food restaurant this is the thing which make the product convenience to the customer which is a Ups point as well for the company. As the Pepsi is always found of having more and more customers in hand that’s why company has launches the Pepsi Max (without sugar) to fulfill the demand and retain the health conscious people .which is again a unique selling point for Pepsi. The taste of the product is attractive to all, like any child, young, married or old every one like the taste of Pepsi which we can say it fits to all. One more and huge unique selling point can be the addiction of the people that they need the Pepsi with mostly their all the meals, especially children. They are found of having Pepsi with them all the time. The primary competitors of Pepsi are coco cola and RC cola. These competitors are very strong and powerful in the market due to their huge market shares and customer satisfactions. And there is a big challenge for Pepsi to take over the direct competitors. 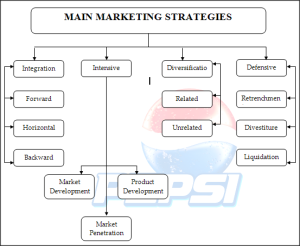 PepsiCo has developed the national marketing, promotion and advertising programs that support its many brands and brand image; oversees the quality of the products; develops new products and packaging, and coordinates selling efforts. Pepsi as a company is using the backward strategy in order to get the basic ingredient of its beverages (concentrate) from its main head office of America. This concentrate is send to its production locations. Pepsi is spending million of rupees to advertise the product even it use to be the reminder to the public because almost everyone knows the brand name and its product. All the Companies use to be in found of having new geographic areas. In order to have market development company acquire the small companies and to provide its product to everywhere they have the third part services(PTN) to make sure the availability. To cater and to retain the loyal customers company have offered many other products in different sizes. Pepsi have its related diversification in the Water with the name of Aquafina. This product has its own brand image and the target market as well. Distribution costs, including the costs of shipping and handling activities, are reported as selling, general and administrative expenses. Shipping and handling expenses were $5.1 billion in 2007. We engage in a variety of research and development activities. These activities principally involve the development of new products, improvement in the quality of existing products, improvement and modernization of production processes, and the development and implementation of new technologies to enhance the quality and value of both current and proposed product lines. Consumer research is excluded from research and development costs and included in other marketing costs. Research and development costs were $364 million in 2007, and are reported as selling, general and administrative expenses. To truly understand the needs of our consumers, customers and to succeed in the marketplace, PepsiCo must reflect that diversity in our supplier base and in everything we do. An integral part of our mission is a commitment to purchase from a supplier base representative of our employees, consumers, retail customers and communities. As part of our Responsible & Sustainable Sourcing strategy at PepsiCo, we are committed to working in partnership with our suppliers to follow a specific code of conduct in the areas of employee labor conditions, health & safety, environmental management and business integrity. We have updated our policies to simplify communications about PepsiCo’s values and how they extend to our supply chain partners. Below, our updated Supplier Code of Conduct is provided. We are issuing this uniform PepsiCo-wide supplier code of conduct as a single document to provide explicit communication of expectations in these important areas to our suppliers and their chain of suppliers. While the vast majority of our suppliers are already working to these or similar standards, and may well have Supplier standards that reach back into their own supply chain, we intend to work closely with our suppliers to insure they fully comply with our code of conduct listed below. Production is like a back bone in any manufacturing organization. In PEPSI the main production materials are! All the raw material which is used in the production process is approved by the Pepsi cola international. These materials should be according to the standards of the PCI. If in any case the material does not match with the standar ds PEPSI has a right to return it to the supplier. In this case the entire cost of the material is beared by the supplier. This strong check on the material is because of maintaining the high quality in the products which is the credentials of the Pepsi cola products. The company has introduced its own mineral water which is called “Aquafina” in two packages of 600ML & 1500ML and company is planning to install a plant for juices. Employees are directly involved in the production process. Whereas the helpers are the indirect employees Moreover direct supervisor and helpers are also there. Indirect employees are about 350 in number, who are not directly involved in the production process but they are essential part of the production department. In order to maintain the high quality the plant has a well equipped lab. Laboratory is sufficient to measure the standards and to test syrup of different flavors. The well equipped lab enables the smooth flow of production process. The major brand of PEPSI is Pepsi 250 ml, having highest market share which is 47% as compared to other brands. The other brands produced by the organization are! If PEPSI wants to produce a new brand they have to get permission from PCI. This permission is the requirement for the production of a new brand of Pepsi cola international. PEPSI currently installed its new caning plant. This plant is also established after the permission of PCI because PEPSI meets the standards of PCI. As concentrate of each brand is separate and these concentrates are provided by the PCI so that they have to rely on PCI for getting the concentrate of new brand. Water is very important ingredient regarding the beverages industry. The bottles are filled with concentrate and treated water and their specific ratio is mixed up and filled into the bottles. Raw water i.e the water that we take from the earth, is treated in beverages industry and then is used for bottles filling. Ferrous Sulphate (other coagulant), for coagulation and flock formation. Calcium chloride (or other calcium source), only if needed for sodium alkalinity reduction. Empty bottles that are received from market (Market Empty) are first provided at the plants. These are put on the plant conniver. First of its inspection process starts in which dirty bottles, breakage, straws and other particles like wrappers are separated. Then the process of empty bottles washing starts after this. Bottles received from market are dirty and full dust and other things. Washing process makes them clean. Above type of coding is pasted on each bottle produced. Then the final product moves towards packing machine through conveyor. Here the bottles are put into the shells (Crates) and the crates are then put on the pallets from conniver. Finally these pallets are carried by lifter and put in the filled stock. There is no planning without control. 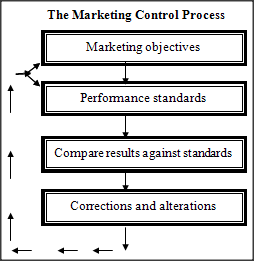 Marketing control is the process of monitoring the proposed plans as they proceed and adjusting where necessary. If an objective states where you want to be and the plan sets out a road map to your destination, then control tells you if you are on the right route or if you have arrived at your destination. Control involves measurement, evaluation, and monitoring. Resources are scarce and costly so it is important to control marketing plans. Control involves setting standards. The marketing manager will than compare actual progress against the standards. Corrective action (if any) is then taken. If corrective action is taken, an investigation will also need to be undertaken to establish precisely why the difference occurred. Pepsi have used the new- product strategy to realize their ambitions to both defend their current market position, and reinstate their position as a product innovator. The Production Supervisor contributes to The Pepsi Bottling Group’s success by directing the production team to meet customer needs and achieve standards related to cost, line efficiencies, waste, safety and productivity. This individual must set production performance standards and align the organization to achieve standards. Major Tasks, Key Responsibilities and Key Accountabilities Applies knowledge of processes, equipment and system capability to set challenging individual and facility standards Develops Annual Operating Plan for Production Achieve performance standards with regards to safety, line utilization and quality Tracks key performance indicators/costs, anticipating and correcting trends. The business success is about taking right people to the right place on right time. So what is the problem? Actually, if you need to manage not one, but five employees or better five groups of employees, then you face the problem of measuring and control. It’s hard to tell whether one group is performing better or not, it becoming hard to compare one employee’s success against other one; it’s hard to see the unique features of people. So what the solution is? There are two approaches Pepsi suggests to take into account when thinking about human resources (HR) at company. First, Pepsi think in terms of process, second in terms of how do employees affect the whole business. : hire, education, management, retire. All the stages must be processes carefully, as they could fully change your business. For instance, if you will have the best system to hire stuff, but it will be working slowly, then you will fail. If your education system will allow training everyone, but will not allow checking the actual performance generated by training processed, then you will fail. If your best people will retire, then you will lose. So, that’s why it’s really important to measure and control all processes involved into employee’s relationship. People, who you work with, should understand what your goals are and how they will help to achieve these goals. This is the key idea of manage and control in employees management processes. Another approach is focusing on how someone’s job affects the company. It’s obvious that even if someone works in Sales then he or she will affect not only the financial part of the business by generating sales, but also all other parts. For instance, sales person will be involved in entire company processes, such as education and knowledge sharing. This person will also work directly with customers, so he or she might not just sale, but get a valuable feedback from end users of your product. These people will also help your company to grow not just in terms of sales, but in terms of better business processes and business efficiency. The management of a firm’s cost and expenses in relation to budgeted amounts. Cash flow is the balance of all the money that flows into and out of your company account each day. Regardless of whether or not you are trading and making sales/profits, you will need cash, and thus it is important that you manage the liquid finance you do have, and that you plan for cash flow in the future. There are two principal factors that will affect your cash flow. Revenue created by Cash sales. Capital Finance – bank loans and overdrafts, equity finance etc. PEPSI CO has made sure that all transactions are documented and full record-keeping system is in place and ensures that sufficient cash flow is available to meet Taxation payments. Pepsi is very clear about Taxation position from the onset (take professional advice) and also clear about requirements for VAT (Value added tax) registration. Pepsi is contributed heavily in taxes. Essentially, quality control involves the examination of a product, service, or process for certain minimum levels of quality. The goal of a quality control team is to identify products or services that do not meet a company’s specified standards of quality. Quality control is the basic organizational objective of PEPSI. Quality check is made from zero level to final products. For this purpose samples are taken from the production to check the quality. This sampling is done after each an hour or half an hour. These samples are tested according to the Pepsi cola International standards. Distributors are the main problem for the company; because some distributors have political influence that is why they do not act on the policies and procedures convey by the company. Company is unable to hamper the distributors according to the legal contract. TQM procedures are not properly implementing in the production process. In house productions of duplicate pepsi products couldn’t stop by the company. The management should act aggressively to control the production cost. Check & balance system must be improve regarding production. Trained and energetic staff must be hired to implement the TQM procedure properly in production. So that the quality can be improve. Company is under pressure by some distributors because of their political influence. Company should develop some plans to control the distributors. HRM department gives extra priority to LUMS students while hiring the employees. This biasness must be eliminated by giving equal opportunity to all university graduates. To define Proper Goals, Objectives and Customer Promises. Make the company’s Employees well aware and informed of company policies and objectives through different seminars and orientation sessions. Plan to get registered with Pakistan Stock Exchange. To fulfill the requirements for registration. To launch aggressive marketing campaigns. Production capacity must be enhanced to meet the future demands. Co-Branding or Strategic Alliances with different brands. Pepsi must focus on TALENT MANAGEMENT to hire and retain the best talent. 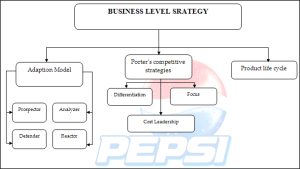 After a brief analysis of Pepsi By using different tools and techniques we have come to know that Pepsi international is very organized and successful in the world in terms of strategies and their implementation plans. Pepsi international has a vast range of products as compared to Pepsi Pakistan. 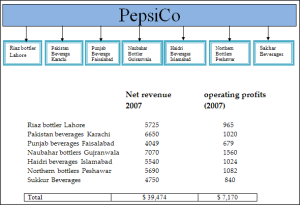 Pepsi has enough resources and finance to enhance the product line aggressively in Pakistan as well. But in-stable economic, political and security conditions is Pakistan are a big hurdle in making bigger investments in Pakistan. To overcome these problems government of Pakistan should take some initiatives to boost up the industrial sector. Another internal factor which is an obstacle to enhancement of the business is high operating cost of production which makes company bound to minimize its profit margin. Thank you and god bless for sharing with this document, well done its a wonderful study.